CHICAGO: The Society of Thoracic Surgeons (STS), the Society of Cardiovascular Anesthesiologists (SCA), and the American Society of ExtraCorporeal Technology (AmSECT) released a new clinical practice guideline that includes major recommendations for the use of blood thinning medication (anticoagulants) during heart surgery. The guideline was published online in The Annals of Thoracic Surgery and in two other journals. Anticoagulation therapy is critically important during cardiopulmonary bypass (CPB), a technique that temporarily takes over the function of the heart and lungs during heart surgery. The blood is removed from the body, sent through the CPB pump (also known as the heart-lung machine), and then returned to the body, bypassing the normal pathway of blood through the heart and lungs. 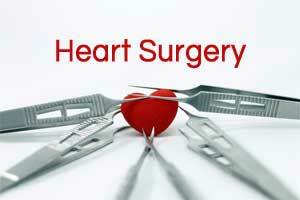 This allows heart surgeons to have ideal operating conditions, while maintaining artificial heart and lung function. Exposing the blood to the artificial surfaces of the heart-lung machine and its components, however, predisposes the blood to clotting. As a result, the clotting ability of the blood must be inhibited by blood thinning drugs (such as heparin) and reversed at the end of the procedure with agents such as protamine—a strategy that allows heart surgery to be conducted safely and successfully. Practice in this area has been highly variable and without standardization when it comes to medication doses and the optimal degree of anticoagulation used during CPB. Recognizing the large scope of practice and the varied nature of the evidence supporting the use of CPB, STS collaborated with SCA and AmSECT to address the gap regarding the use of anticoagulation treatment during CPB. STS believes that the practice of summarizing current scientific evidence into clinical practice guidelines and recommendations may contribute importantly to improving surgical outcomes, as well as the quality of patient care. In this case, to identify relevant evidence, a systematic review was outlined and extensive literature searches were conducted by a workgroup. The group then wrote and developed recommendations based on the critical appraisal of almost 100 highly cited articles that were included in the final review. “This study examined the relevant existing literature on anticoagulation and its reversal and synthesized cogent recommendations for the clinicians,” explained Dr. Shore-Lesserson. Ideal methods for reversal of anticoagulation after CPB. Dr. Shore-Lesserson said that even with these new guidelines, “more and better evidence” needs to be generated to answer many questions that clinicians still may have, especially in the area of alternative drugs to heparin. According to Dr. Shore-Lesserson, heparin and protamine have been cardiac surgery staples for more than 50 years and remain the gold standard, but “they are not perfect.” So a call to action is now in place for investigators to conduct important prospective scientific trials and meta-analyses so that new knowledge is generated. “We hope that this guideline will stimulate investigators to conduct more research and to expand on the evidence base regarding anticoagulation therapy for cardiopulmonary bypass,” said Dr. Shore-Lesserson. To read the article click on the link below.